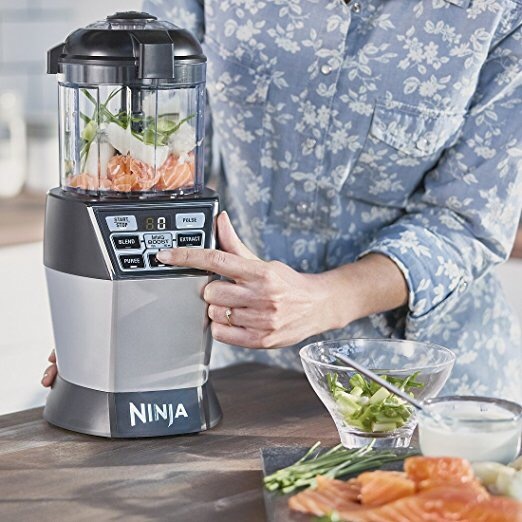 עוד מוצר בקולקציה הרחבה של Nutri Ninja – הבלנדר נינג׳ה NN100UK שמבוסס על גוף חכם בעוצמה של 1200W שכולל 2 כוסות בנפח 650 מ״ל ו-900 מ״ל פלוס יחידת קטנה של מעבד מזון שמתלבשת על הגוף. To feed the inner foodie in you there's a little inspiration in the box with a 50 Recipe Booklet. Packed full of quick healthy meals, snacks, desserts and drinks. You don't have to search endlessly for dinner ideas, cake or smoothie recipes, there's something for everyone, for every meal, of every day. The Nutri Bowl Duo gives you the confidence and assurance of knowing exactly what goes into yours and your family's food. Create a delicious Bolognese sauce using only fresh tomatoes, herbs and garlic, a healthy chicken curry with no colourings or your favourite chocolate chip cookies with no more worry of hidden sugars and salt, just fresh, food, fast. Here's how we do it. Experience Fusion Processing in the NutriBowl. This innovative design pulls fresh, wholesome ingredients together to make meals vibrant with flavour and valuable Nutrients. Simply select your ingredients, stack in the Nutri Bowl, select a program, FUSE and enjoy Sweet, Frozen, Snack, Salad, Protein or Veggie fusions. 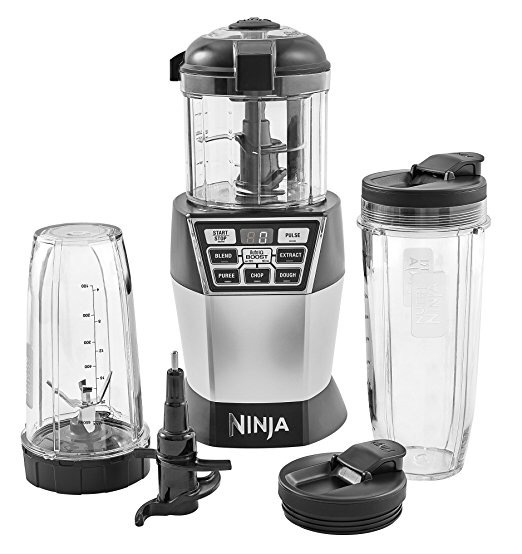 Nutrient Extraction using the Ninja cups, turns the Nutri Bowl Duo into the 5-star customer rated Nutri Ninja. 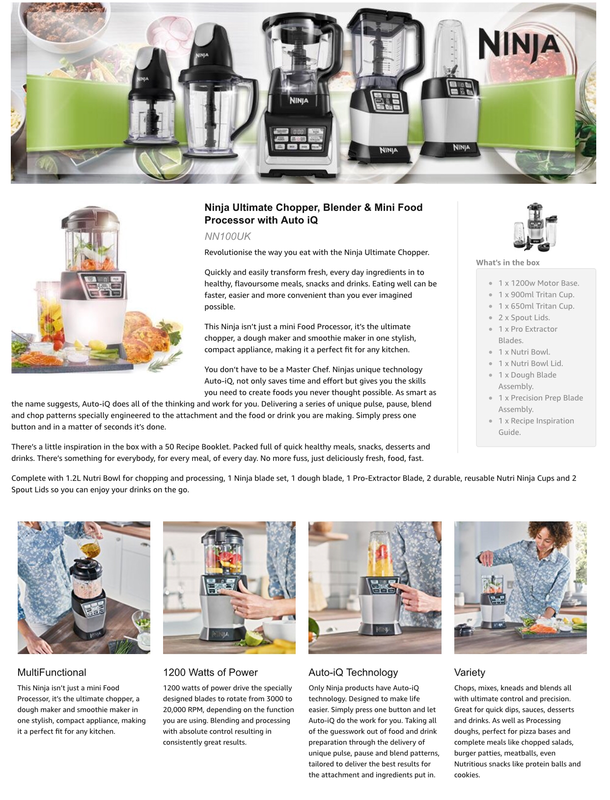 Stack the cup with your favourite fruits, veggies, nuts, seeds, even ICE, pop on the Pro Extractor Blades, select your programme and blend your way to delicious, super smooth, cool drinks and smoothies. All at the touch of a single button. Nutri Bowl Duo, being so good has never been so easy. עדכון 29/6/18– לקנייה – אמזון אנגליה – http://amzn.to/2ibmPnl | מחיר פרסום – 74.9 פאונד | מחיר מבצע עד הבית – 114 פאונד. מה קורה עם האחים הגדולים שלו? חזרו לשלוח אותם לארץ? כרגע אין אפשרות להזמין את הדגם הזה גם. רושם שיש רק 2 מוכרים שמוכרים אותו ואף אחד מהם לא שולח לישראל.